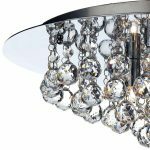 The Dar Pluto 5 light flush mount crystal ceiling light in polished chrome is adorned with heavy faceted clear crystal balls. 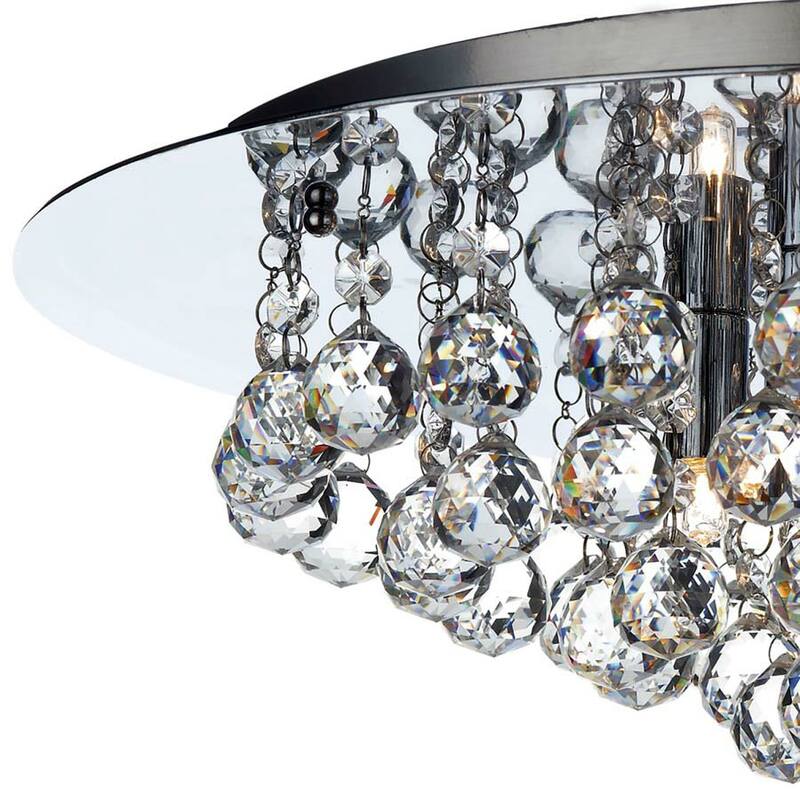 With 50cm diameter flush mount with mirror chrome fascia dressed with masses of faceted crystal balls hanging down and surrounding the five lamp bulbs. The light and crystals reflect from the fascia creating a sparkling light. A contemporary design that is ideal lighting for rooms with a low ceiling and the bright halogen bulbs (not supplied) bring out the best in the design. Other products in the chrome Pluto range can be viewed below and include a larger eight light fitting, a smaller sized three lamp flush fitting ceiling light and a matching switched wall light.